Today is the day – September 1st, 2015 – the release date for “The Orbit Magazine Anthology”. Thank you for interviewing with me, for giving me leads, for giving me your hard earned money during the Patronicity fundraiser, for being supportive of the project, friends, and family, because you all have made this day possible. It’s been a great honor to tell this story, one that’s been in my mind for many years and took four years to complete. Thank you for making my first book possible. If you haven’t picked up a copy, yet. You can through various methods including the WSU Press site, various online retailers, and also great stores that are stocking the book. I hope to see you at one of the many events we have planned for the book so I can thank you in person. It’s going to be a great time. 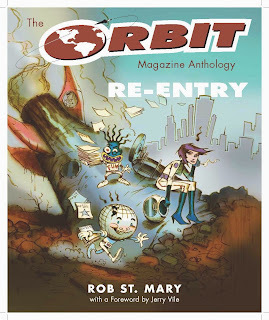 Each one will be different, and a great way to enjoy this 25th anniversary of ORBIT.